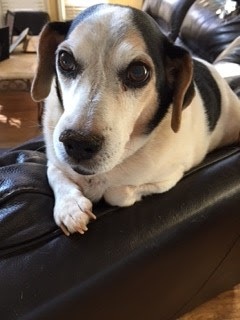 Today, the Bow Wow Buddies Foundation would like to introduce you to Baylor, a dog gone cute 12-year-old Beagle Mix from Mableton, Georgia! One of the friendliest pooches you’ll ever meet, little Baylor lives with at least 10 other foster furbabies in Mableton who all need some medical assistance. One day Baylor’s owners discovered that he was suffering from a terrible bout of extensive gum hyperplasia. 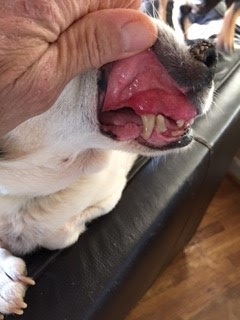 For those who don’t know about this condition, it’s a severe gum inflammation that causes excruciating pain and discomfort for any dog who has it. The procedure to cure extensive gum inflammation is extremely costly, and if not performed right away, it can deteriorate a dog’s life. Through a Bow Wow Buddies Grant, we were able to help Baylor get the surgery he needed to continue living his happy life with his mom and rescue siblings! Lend a paw and donate todayto help dogs like Baylor get a second leash on life!